Janis Blatcley, Vilonia, fiberglass: "Great, very professional (Angel)"
Douglas Weatherley, Searcy, concrete slope: "Very good job." Mark Curley, Jacksonville, concrete slope: "Angel was very professional and friendly. He is outstanding in what he does." Ron Wylie, Clarksville, Safe Room: "Angel & Jose are professionals that do good work. Thanks! " Johnny Baker, Ola, slope front: "We are very pleased Thank you." Ricky Meyer, Sherwood, garage floor shelter: " good product; good service"
Larry & Carolyn Tomlin, Russellville, bolt together safe room: "Overall was happy with installation. Special thanks to Gina, Angel, Jose and Jared for working with us. " Donna Lambert, Paron, LS 4 fiberglass: "All the people involved with the sale and installation were very friendly and courteous, with attention to Gina, Michelle & Angel and two helpers. " Gary Pedersem, Conway, AR , garage floor shelter: "Angel & Jose left my garage looking cleaner than when they began. They work very hard and are very polite ~ great guys! " Michael & Gretchen Boyes, Russellville LS 4: "Very pleased with service. Went out of the way to clean dirt off of street. Will recommend. " Rick Shock, Little Rock, garage floor shelter: " I need to let you know that you have 2 great guys working for you. Please thank them again for me. " Margie Hall, Conway 6 x 8 slope: "Loved the Fast & courteous way everything was handled. All question and help request I needed were handled fast and direct! And they left no mess behind!" Keith Jones, Springdale, AR, LS 4: "Gina is great and prompt!!" Josh & Allison Hart, Vilonia, 4 x 8 Garage Floor Shelter: "Shelter fit perectly , no issues. Very happy, will recommend ya'll in the future. Thanks!!!" 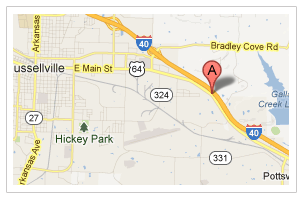 Brandy Zachary, Vilonia, AR 6 x 8 slope: "Very professional and easy to work with. Overall great experience." Sharon Bushong, Enola AR, 5 x 7 slope: "This is our 2nd shelter with Arkansas Storm Shelters. 100% pleased with the professionalism as well as the overall process. Start to finish, Jared is very easy to speak with and do business with. I would recommend this company and product(s) to anyone in a heartbeat. When we needed another shelter after we moved, I didn't even think about it, I knew exactly who I would call." Mary Farrer, Longview, TX 5 x 7 slope front: "We were very pleased with our purchase. Happy to recommend your product & services." Fred E. Wood Jr, Heber Springs, AR 7 x 10 slope: "The dealer/installer was very professional and courteous, explained everything very well, will recommend you all to neighbors and friends." Clayton Brown, Cabot, AR 5 x 7 slope: " Just wanted you to know...you guys did a great job installing my shelter! I was at work when they did the install but my wife said the guys were very professional and courteous. They did a great job and it didn't take them long.Those guys deserve a pat on the back! You were very helpful and I appreciate the constant communication keeping me in the loop on what was going on. You guys are first class. I will be recommending y'all to all of my friends and family. I will sleep better tonight knowing my family has a safe, well constructed place to go if it gets bad." Terry Klug, Conway AR 3 x 7 Garage floor shelter: "Prompt and courteous service, installation time less than anticipated"
Douglas Neely, Ft. Smith AR 3 x 7 Garage floor shelter: "Excellent Job! - Very Professional!" Stephen Ruth, Base Pilot for Super Air Evac, Paragould, AR, 5 x 7 slope: "Outstanding!" Toni Rowell, Conway, AR, 3 x 7 garage floor shelter: "Very pleased! Thank you so much! I am very impressed! I feel very safe now and I won't be afraid. The workers were very clean with the work and very satisfied! Thank you Gina & Jared and the staff, you're the best! :)"
Jerry & Sylvia Evans, Quitman, AR 6 x 8 slope "2nd": "Love it! Installation went smoothly. Made sure we were pleased. Thanks!" Linda McDonald, Augusta, AR LS 4: " Very professional with work, very good job done. I do appreciate both installers - Colt & Angel! I'm glad to get the storm cellar a few days earlier than I thought also!" Glennard Brown, Hector, AR, 6 x 8 slope: "Installers were very professional. Went over the door and vents, how they worked. All questions answered. Great job, well done by professional."